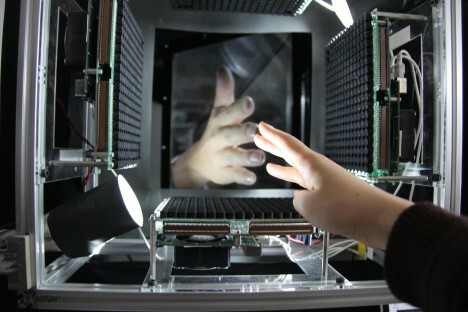 Using ultrasonic arrays to create pressure on users’ hands, this new approach to telehaptic holography allows people to touch and feel at a distance, sharing an enhanced holographic experience way beyond virtual reality. 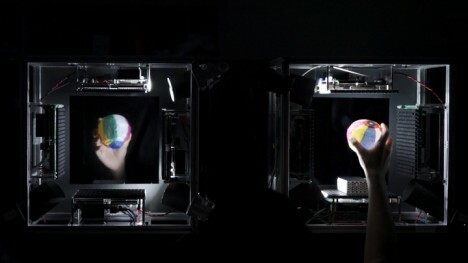 Aerial imaging panels in the “Haptoclone” system create the visual portion of the shared illusion, which can be experienced simultaneously by different users around the world. 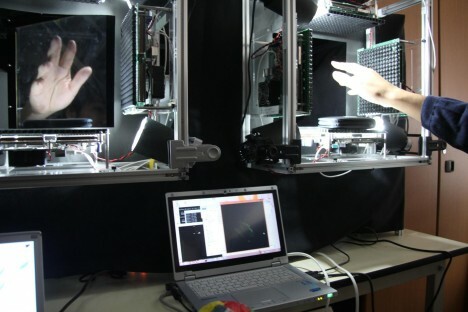 A Kinect sensor translates motions by both users in realtime responses, moving holographic objects in shared three-dimensional spaces and emitting pressure accordingly. 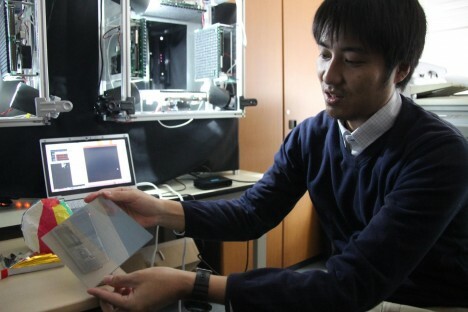 For now, there remain significant limitations, particularly when it comes to the ultrasonic pressures applied – there are safety limits keeping those sensations from being as complete as they might be in reality. So while you can toss a ball back and forth, bear hugs may be a ways off yet. See more in Quantum Leaps or under Science. January, 2016.